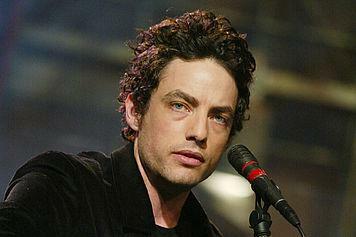 “If all you were left believing was what you were seeing it’d be nothing but desperate,” Jakob Dylan says of the discontent he perceives throughout the current social climate. 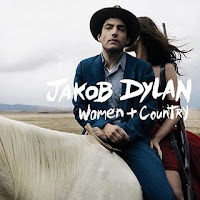 “To have hope you’re going to have to imagine that there’s something behind the curtain.” That collective despair, mitigated only by glimmers of optimism along the way, is what Dylan draws upon and evokes on his latest solo album Women and Country. A marked contrast from the sparseness that defined Dylan’s solo debut, Seeing Things, the new album’s folkish, often-Gothic flavor comes courtesy of GRAMMY® and Oscar® winning producer, T Bone Burnett. 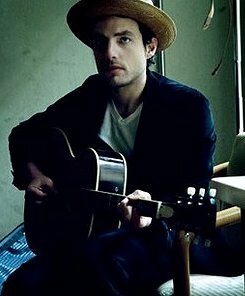 Besides being a longtime family friend — Bob Dylan recruited him in ‘75 as a guitarist on his Rolling Thunder Revue — Burnett worked with Jakob Dylan in the Wallflowers, producing the band’s breakthrough album Bringing Down The Horse. 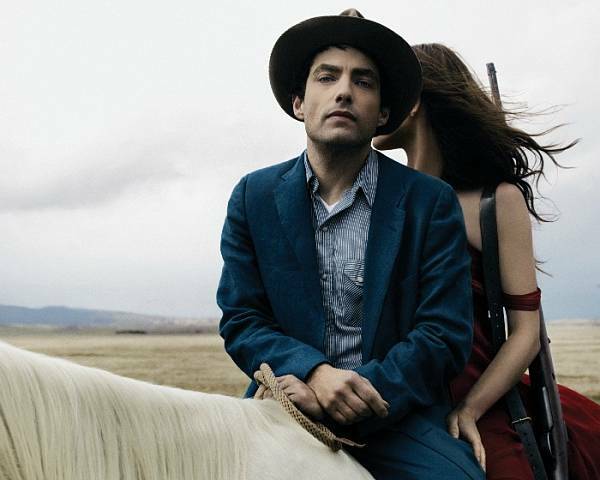 Women and Country marks their first collaboration since, and it was to Burnett that Dylan had shared a song, “Nothing But The Whole Wide World,” which became the album’s catalyst and, ultimately, its opening track. Though he’d written it for Glen Campbell to play on his upcoming farewell LP, Dylan was encouraged by Burnett to write ten more in the same vein for a record of his own. Were those ten songs, then, the only ones you wrote? Did you write them with a perceived theme in mind or solely in the vein of the first one? Well, there’s always a stepping-off point. I’m not somebody who carries around a notepad and writes songs all day long. I don’t imagine everything I think of is worth being in a song. So I tend to collect notes and I set time aside to go to work and write songs. But that being said, sometimes you have to start writing whether you're interested or ready or not. You’ve got recordings to do. I absolutely know how to put gears in motion. And a lot of the time you have to start writing and you’re aware that the first couple you write probably won’t stick around very long. But there’s a tipping point where something happens when you realize you’ve just literally smacked open a piñata and here it all comes. And that’s what happened with “Nothing But The Whole Wide World.” I’d written that with Glen Campbell in mind for a record he was making. But something occurred to me while doing it that there was a pair of shoes that I’d put on that worked for me, that once T Bone and I had talked I realized I’d already begun. And that’s what I was going to chase, which was where I was already at, really. Was it something thematic you were chasing, though? The songs have a distinctive tone and temperament that I'm sure T Bone contributed to, but you wrote these songs alone, right? Or you’ll blow the mystery. Exactly. There’s got to be a lot of mystery. All the good songs have tons of mystery. Even as you’re writing them, if you overthink them you’ll destroy it. As a lyricist, can you see an arc to the way you write over time? I think I’ve recognized something that I’m able to do that the next guy doesn’t do. And that doesn’t mean you’ll like it. But when people start out, [they're] not only trying to write great songs, but they’re trying to find a way to say something that someone else isn’t already saying. Because there’s only so many things to sing about, so what’s going to make a song appeal to you more than someone else’s is just a unique way of saying the same thing. It’s limited, what you can sing about. When I listen back to my music and everyone else that’s out there, I'm aware that there's something I can do that the next guy doesn’t do. Are you aware that you’re doing something better now in your songwriting than you were, say, ten years ago? That’s twofold, because inspiration is the part you can’t work on. It’s got to happen to you. I certainly know how to refine. I’ve got better tools now; I’ve got more tools now to write songs. But I can’t better myself with ideas. Those just fall in your lap or they don’t. But you can refine the way you apply them. Exactly. That’s what makes a good song: a bit of both. I mean, I could write you songs for days without inspiration that would be tedious and boring for everybody probably. But a good idea that’s unique, guys like me get up every day and just hope that something occurs to them that they can work around. I could give you some answer as to why that’s metaphorically really interesting, but the reality is when you’re writing in a short block of time, your head space is in a certain place. And recurring themes and images, a certain palette that you’re working with and certain colors are going to keep coming back around. But the concept of boxing, whether it’s shadowboxing or actually being in the ring, yeah, it’s continued throughout the record. It’s like a defensive-but-not-defeated disposition. Yeah, I would say so. “Stand up.” Exactly. On “Everybody's Hurting,” you sing, “Faith is believing what you see ain’t so.” There’s weariness in this album, but there’s resilience as well. It’s not a desolate impression; it’s one of some hard truths being recognized. We’re in the midst of very hard truth. I write records that, in one way or another, [are] a reaction to the climate. And I’m living in the same climate you're living in. I don’t write songs that are describing just my life. I’m not interested in listening to those kinds of songs. I don’t think songs are better when they’re about certain people, their story, telling you how they feel about stuff. That stuff can be very tedious. I would never be as adventurous to think that telling you about myself is interesting. So writing about your day isn’t something you’re keen on. I write about what I see going on with everybody and our climate. I’m walking the same path you’re walking and everyone else is walking today. And without having to expound on where we are as a nation, everybody is hurting. Especially in the depths of writing the record, that’s what it feels like. I am also positive about it, but there is desperation. And it is very unsettled. I mean, who isn’t living with uncertainty right now? You tell me. It seems like everybody — whether they’re happy, successful or not — for the first time is very unsure if they will be happy or successful next year. Especially now with your solo albums, there are people who read into your lyrics and assume things about you. As a songwriter, how do you manage to examine the human condition and the world around you without it being overtly about you? Well, it’s complicated. From the day I started writing songs that’s not something I’ve ever been comfortable with. But that’s my background in listening to music. I never listen to music and think anybody’s being honest. I don’t think honesty makes better music. Three-and-a-half minutes of transporting you somewhere, that’s how I see it. That’s not to say there haven’t been great songs that have done that, but it’s just not my strength. I don't want to do that. And it’d be misguiding for anyone to look into my songs and think that I’m secretly putting in any kind of breadcrumbs about my personal life. I’m not being coy; that’s not what’s in there. Have you known it wasn’t your cup of tea since you began doing this? No, I didn't realize that people were going to think any of these songs were actually about me when I began writing with the Wallflowers. I think there was probably a time when I wanted to divert people off that path and say things that couldn’t possibly be thought of as being about me, and not even about me. People dug, they toiled and exerted a lot of energy trying to figure out if I was giving family secrets or something in my songs. That was a waste of time for anybody. What I had begun to do, by the time I noticed people were listening to me and I realized that was going to happen, I purposely threw some stuff in my path so there’s just no way anyone could make that misconception. Does that throw a wrench in your craft when you’re trying to write a song? When I was younger it might’ve. I think I was disregarding certain ideas because I didn’t want them to be misunderstood, but that was a waste of time on my part too. Because obviously if you’re writing a song about the state of the world or the state of the nation, it’s not completely fiction. These are your ideas. The nature of songwriting completely contradicts everything I just said. Yeah, in one sense none of it’s personal, but it’s all personal because it occurred to me. Your solo music could be done with the Wallflowers, in that mold, but could you foresee yourself doing a rock album as a solo artist? Well, yeah, sure. I could see doing many things. I could imagine myself wearing just about any pair of shoes. 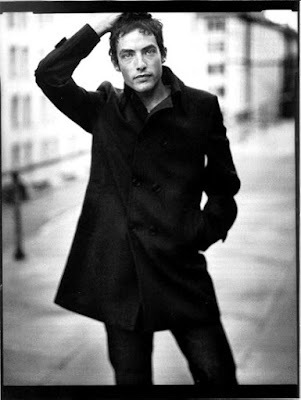 The Wallflowers was conceived early on as having a big rock ‘n’ roll sound. 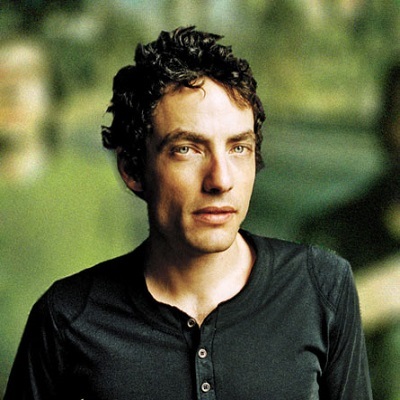 Some of these songs might not have fit into that and I retain the original concept of the Wallflowers as doing a certain thing and not necessarily adapting yearly to what I want to do. Having been a songwriter and singer for as long as you have, plus having grown up around music, what drives you to keep writing songs? How do you avoid being jaded by the business while still maintaining your creativity? I’ve seen all sides of it already, not only in terms of what people term successful or not, but the state of the record business and whatever it resembles today. I’ve seen all different incarnations of all of it. For someone like me to keep making music, keep making records, and keep touring, there can only be one reason left. And that’s it’s a drive and a calling of some kind that you just have to stay with.… I’m just happy more songs come. That’s what most songwriters feel. After they write one song, they finished it; it was a lot of work. They can’t imagine they’re ever going to get another decent idea. So I’ll be very happy the next time I sit down to write a song if more of them occur to me that I can carve into something that I can sing. That’s where it all begins.